Sometimes referred to as the Uber of Waste, Accelerated Waste Solutions has launched a new, JUNK SHOT – Junk Removal App division in Dallas / Forth Worth, TX. JUNK SHOT is the USA’s 1st and Only Junk Removal App. This patent-pending technology, allows smartphone users to take or upload photos/videos of their unwanted junk/trash, and then JUNK SHOT sends them a Price Quote, and Schedules a Removal time. On top of the app convenience, JUNK SHOT has the “Bigger Trucks, Better Pricing” motto. This means, JUNK SHOT has the largest Trucks, for the lowest price! 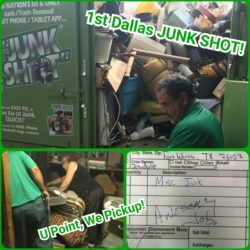 JUNK SHOT’s value, convenience, and customer service is not going unnoticed in the Dallas / Ft. Worth area. Within the 1st week of its launch, JUNK SHOT has already secured numerous commercial clients, like apartment complexes, and storages facilities. “Our expertise in, business to business lead generation, is a large factor in our national expansion strategy and success. And our propriety apps, JUNK SHOT 360 Reporting Tool, and truck size, makes JUNK SHOT App a valued partner for our commercial clients. That said, new app features, like JUNK SHOT App’s VIP Rewards Program, is unlocking huge savings for Homeowners in the Dallas / Ft. Worth area, as well.”, says Co-Founder, Fred Tomlin, Jr. Accelerated Waste Solutions’, DOORSTEP DETAILS – Apartment Valet Trash division has already been serving the Dallas community for years. DOORSTEP DETAILS is a national leader in Apartment Doorstep Trash Collection. Currently providing 5 Night Per Week, Doorstep Trash Collection for thousands of doorsteps throughout Irving, Dallas, and Ft. Worth. DOORSTEP DETAILS innovations also take advantage of technology. Our smartphone equipped, trash collection work-force uses the DOORSTEP DETAILS App based system to capture GPS-Date/Time Stamped Photos to verify proper & complete trash collection. These GPS-Date/Time Stamped Photos are compiled in the DOORSTEP DETAILS (DD) Report and sent to property mgmt. daily. 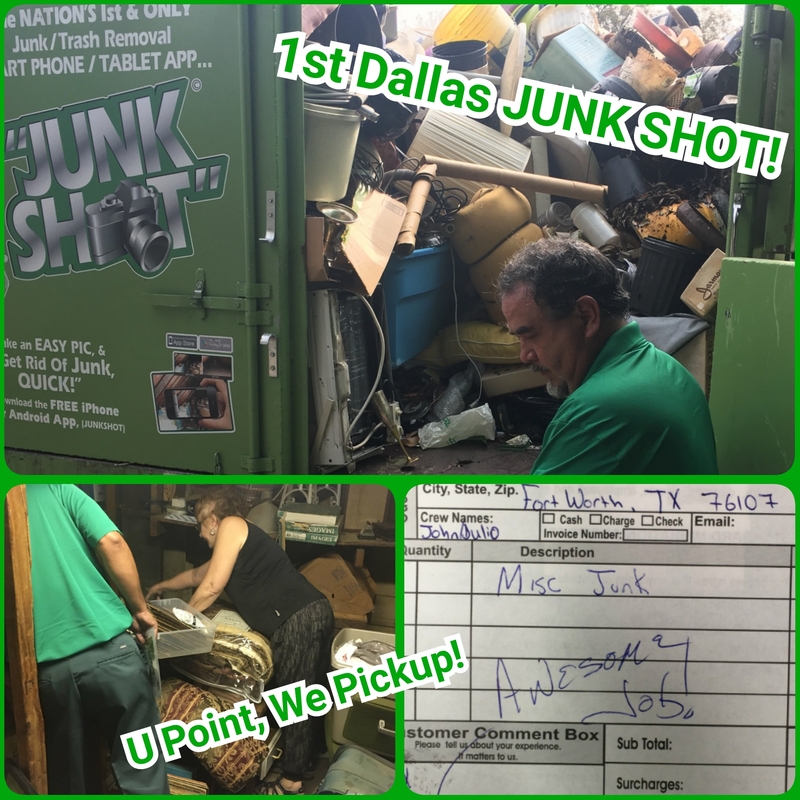 Make a smart move for yourself or your business and help welcome the JUNK SHOT – Junk Removal App division to Dallas / Forth Worth, by Downloading JUNK SHOT from the Apple and Google Play App Stores today. Take a Pic or Call JUNK SHOT Hauls it All! Discover Franchise Success with AWS!